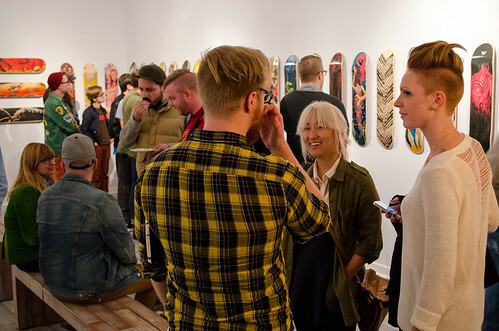 Last Friday marked the opening reception for Skate Or Die! We want to give a giant thank you to the artists involved, and to everyone who visited the gallery and made the night a huge success! 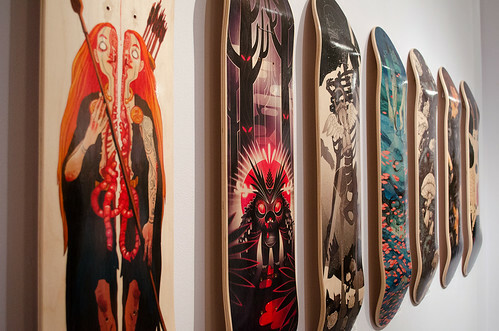 Skate Or Die is a celebration of death and destruction, with 60 pieces of art displayed on hardwood skateboard decks. 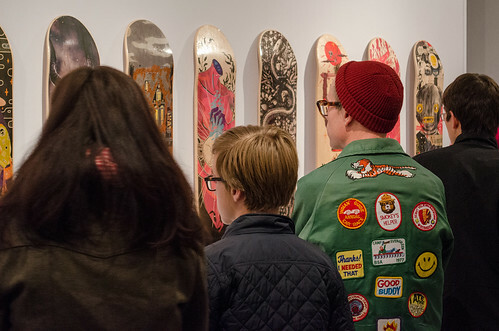 The presentation was jaw dropping, with a gallery absolutely packed with rows and rows of glossy skateboard decks adorned with amazing artwork. Designs ranged from grim and creepy, to over-the-top absurd, to outright beautiful and visitors respond to each piece with appropriate laughter or contemplation. 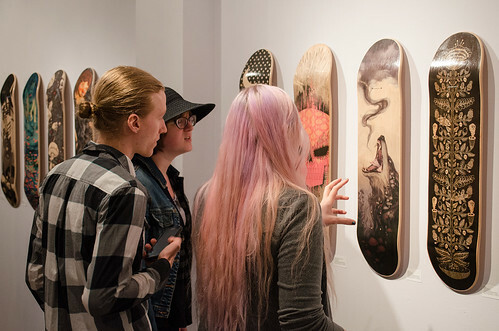 Longtime skateboarders, horror enthusiasts, and art lovers alike all shared the gallery with a common appreciation for the love and craft that went into the Skate or Die exhibition. 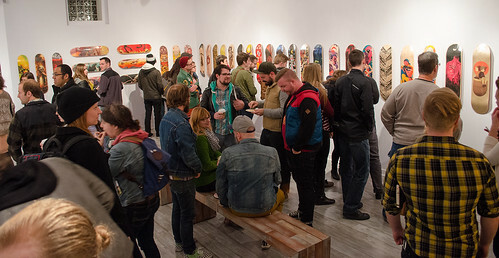 You can view more photos from the opening reception on our Skate Or Die Flickr set. You can buy one of these beautiful skateboard decks, or a gorgeous large-scale print, on the Light Grey Art Lab shop!